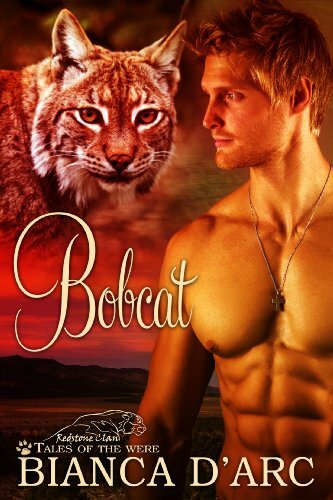 ﻿ Download "Bobcat: Tales of the Were (Redstone Clan Book 4)" by Bianca D'Arc for FREE! Serena is a bobcat shifter. Orphaned as a child, she was raised among humans until she was discovered by a Clan of unscrupulous bobcat shifters. Adopted by a shifter couple, she was beaten on a regular basis because she refused to be a mule for their drug trade across the US-­Canadian border. She doesn’t have a lot of experience with men, but when she meets Bob Redstone, she finds him nearly irresistible. When their haven comes under siege, they take to the road. Bob has been tasked with keeping her safe, but they’re also on a mission to find a mysterious warrior-­shaman who’s gone off the grid. Finding him means returning to Serena’s former territory and possibly confronting those who abused her trust, but they have no other choice. * Look for the other books in this sub-­series – Grif, Red, and Magnus - available now in ebook and print.